Wedding bells are ringing, a family is reunited, and new romances are blooming--for better or for worse--in a standalone novel from the New York Times bestselling author of The Island House and Secrets in Summer. It's summer on Nantucket and Alison is finally engaged to the love of her life. Things would be perfect--if only she could make peace between her daughters. Felicity, wild at heart yet a loving mother to her own children, and Jane, the extremely organized and high-earning businesswoman, arrive on the island hoping to get through these next few weeks without ruining their mother's big day. But when Felicity's husband reveals a long-term affair and Jane falls for her soon-to-be step-brother, everyone gets way more drama than they bargained for. Nancy Thayer has a B.A. and M.A. in English literature from the University of Missouri at Kansas City. Before settling down to write and have children she taught English at various colleges and traveled, living in Paris, Amsterdam and Helsinki. In 1981 she was a Fellow at the Breadloaf Writers Conference. 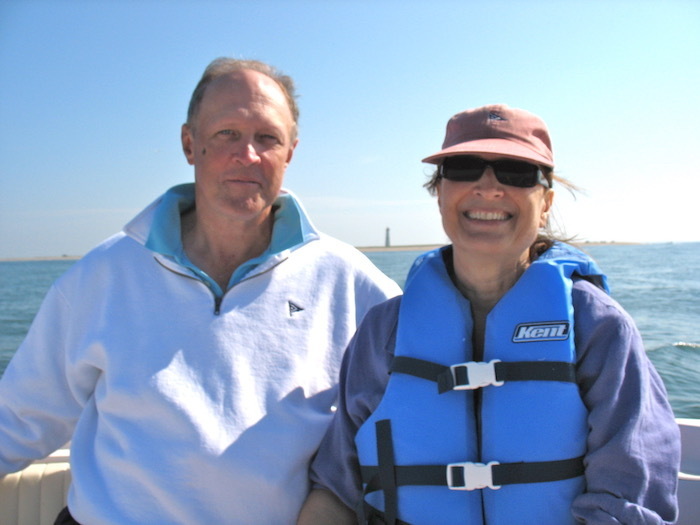 She has lived on Nantucket Island year round for twenty-five years with her husband Charley Walters. They have two children and two grandchildren. Nancy Thayer is the author of nineteen novels, including Summer House, The Hot Flash Club series, Moon Shell Beach, Stepping, and Three Women At The Water's Edge. Her books concern the mysteries and romance of families and relationships and the humorous adventures of growing older. In 2008, Redbook magazine chose her novel Moon Shell Beach for their "Hot Summer Read. " Nancy's work has been translated into more than 14 languages, including Polish, Hebrew, Russian, and Serbo Croatian. Her novels have been condensed or excerpted in several magazines, including Redbook, Good Housekeeping, England's Cosmopolitan, Holland's Viva, and South Africa's Personality. She has published a commissioned three-part mystery novella in Redbook, and short stories in literary reviews in the United States, Canada, and Spain. Her first novel, Stepping, was made into a 13-part series for BBC Radio. Her ghost novel Spirit Lost was produced as a movie by United Image Entertainment. Her novel Everlasting was a Main Dual selection of the Literary Guild in 1991.